How to Play All Major Chords (and what you can do with them)! Watch this video where I teach you what to do and how to do it (and then download the FREE PDF exercise below). Click on this image below to download the FREE PDF exercises that go along with this video. 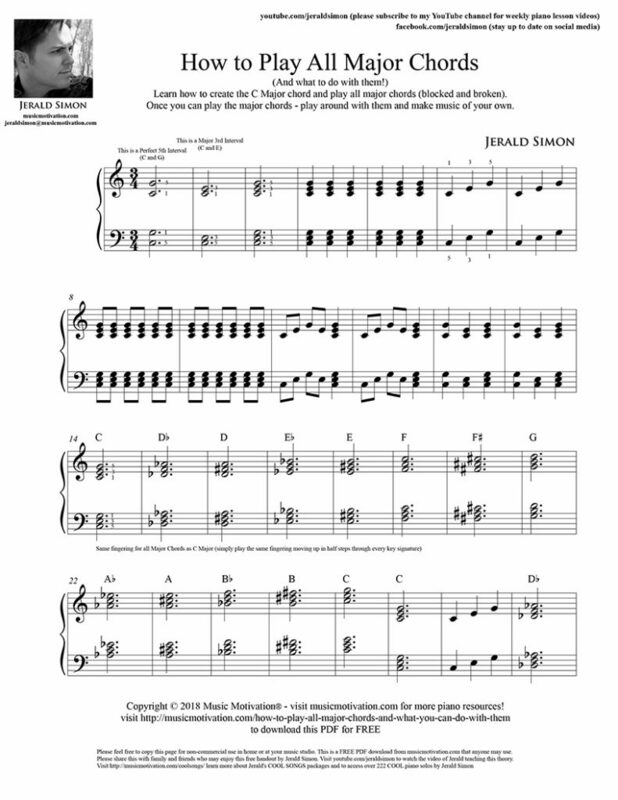 Please feel free to print these out, copy these, and share these with your piano students (if you are a piano teacher), or with family and friends who may be excited and interested in learning How to Play All Major Chords (and finally learn what you can do with the chords once you learn them). This PDF is free and I encourage everyone to learn how to do this exercise, perfect it and master it, and then perform it and share it with others! Please share this post with any other piano teacher, piano student, or parent of a piano student that might enjoy this free resource! Have fun with these chords!